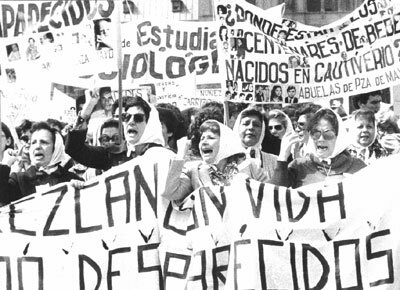 (June 8) – In the summer of 1978, at the height of Argentina’s brutal right-wing dictatorship, the 11th FIFA World Cup took place amidst an outcry over granting legitimacy to a state that is now known to have been responsible for the disappearances of around 30,000 people. With the world watching aghast at the atrocities taking place in the country, a growing movement emerged which argued that it would be wrong to reward a state that was carrying out such large-scale human rights abuses with the honour of hosting the world’s most prestigious sporting event. Many countries debated whether they should boycott the competition, with the Netherlands prominently leading this charge. Although a mass boycott did not materialise, and the Netherlands did ultimately send its team, two of the biggest football superstars of the time – Johan Cruyff (Netherlands) and Paul Breitner (West Germany) – refused to travel to Argentina to play in the tournament. Despite Cruyff later appearing to cast doubt over his motives for doing so, he is reported to have said at the time: “How can you play football a thousand metres from a torture centre?”. Regardless of the reasons, both Cruyff’s and Breitner’s decisions were likely a source of deep worry for the Argentinian dictatorship. 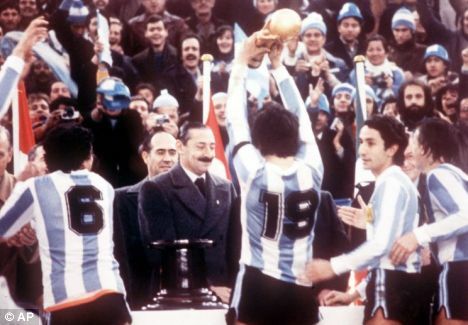 For the Junta leader General Videla, the prospect of a successful World Cup on home turf was a significant opportunity to portray the regime in a positive light to the rest of the world, and to whitewash its crimes. 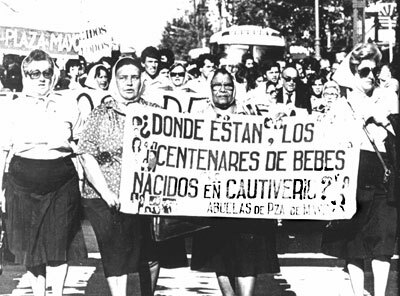 While the regime “disappeared” thousands of people, kidnapped children from their families and tortured and imprisoned its opponents, it hoped that the goals of the Argentinian national team on the field would drown out the screams of the torture chambers. As Eduardo Galeano documents in his book Soccer in Sun and Shadow, at the tournament’s inauguration ceremony, which was attended by Videla “only kilometres from where planes threw live prisoners into the bottom of the ocean,” then-FIFA president João Havelange declared to the cameras “Finally the world can see the true image of Argentina.” The tournament became the perfect feel good distraction both for Argentina’s ever-suffering people, and from the international community’s growing scrutiny of the regime. Like the Junta 40 years ago, the Israeli government understands that cultural and sporting events help whitewash its oppression and subjugation of the Palestinian people. Saturday’s match was to be a huge public relations coup for Israel, with the game to be played in Jerusalem (moved purposefully from Haifa by the government) featuring one of the world’s greatest players. By relocating the match to Jerusalem, the Israeli government hoped to legitimise its claims over the whole of Jerusalem as its “eternal and undivided capital”. These claims received a major boost from US President Donald Trump last month with the moving of the US embassy from Tel Aviv to the holy city, effectively legitimising Israeli’s continued annexation of East Jerusalem. This was despite the fact that, under international law, East Jerusalem is considered illegally occupied territory, and according to the international community, is intended to be the future capital of an independent Palestinian state. Furthermore, under the 1947 partition plan and UN Resolution 181, which stated that Jerusalem should be a ‘Corpus Separatum’ placed under a special international regime, Israel cannot declare legal sovereignty over any part of the city. Argentina’s cancelation thus strikes a small but symbolic blow to Israel’s conscious attempts to normalise this illegal move and distract from its actions in Gaza, where in recent weeks over 120 Palestinian protestors have been killed and 14,000 others wounded and maimed by the Israeli army as they call for their right to return to the lands from which they and their ancestors were expelled in 1948. 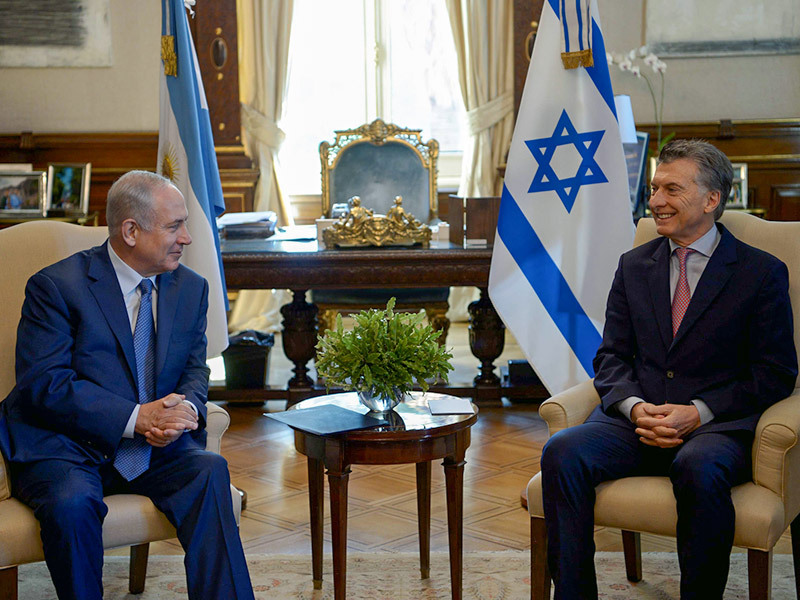 The Argentinian team’s decision is a sign, that contrary to Israel’s wishes, the world cannot pretend that it is business as usual. Israeli government officials have claimed that Argentina’s decision to withdraw from Saturday’s game was done out of fear of Palestinian “terrorist” threats against Messi. Others have suggested that, had the match remained in Haifa as planned, the team would still have played. Whatever the reason, Netanyahu understands that this is a PR disaster, with reports emerging that he called Macri personally to demand that the match take place. Macri’s response, in which he claimed that he has no power over the independent AFA, is a hollow argument. As history has shown, governments understand all too well the political power of football; and it seems that this time, Israel has breached a red line that neither its political allies nor their footballers are willing to cross. *Hussein Samih is a British Palestinian currently working for a Palestinian led human rights NGO based in London. He studied Latin American Studies at Nottingham University for his BA, and completed an MSc in Middle East Politics from SOAS in 2015. Both his undergraduate and postgraduate research looked at the relationship between Latin American governments and the Israeli state.